Celeste Allen Novak | I.K International Publishing House Pvt. Ltd.
CELESTE ALLEN NOVAK, FAIA, LEED AP, is a respected architect and principal at her Ann Arbor firm, Celeste Allen Novak Architect. 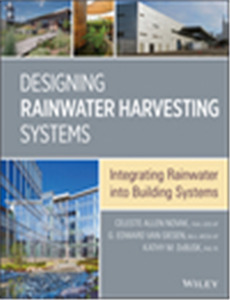 She is widely published on sustainable design and rainwater harvesting. Her work on sustainable design and rainwater harvesting has appeared in Architectural Record and Green Source magazines.